Do we need Help to Rent? The Chancellor’s autumn statement was a clear sign that even within a political party that is chock full of landlords, developers and estate agents there is finally something that looks a little like an admission that the housing market in the UK is malfunctioning. Although home owning has always been something that the conservative party has put at the centre of its platform, there is an acknowledgment now that the stellar rises in house prices might be benefitting those already on the property ladder but are making it increasingly impossible for those without a foot on the bottom rung. And the number of people who can’t buy has now grown so large that it encompasses a much wider group than only those on low incomes – which means it’s something the government now cannot ignore. So, we’ve seen landlords – rather unprecedentedly – become a target with the chancellor introducing tax increases on buy-to-let properties that many landlords sobbed were ‘unfair.’ But it does somewhat level the market as first time buyers going up against landlords for the same properties now won’t have the disadvantage of being outbid by a tax advantaged investor. The idea behind this new tax approach is to cut the demand for buy-to-let properties as they become a less attractive investment. Of course the fear among tenants is that landlords will simply pass on the cost of their tax losses to those renting from them, which will make the problem worse. The consistent argument for rebalancing the rental market is that more properties need to be constructed and the Chancellor’s autumn statement did mention some 400,000 of new homes. 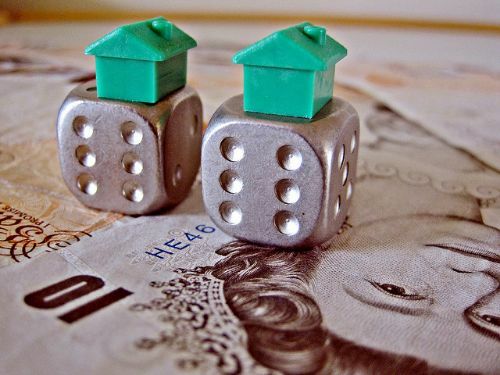 This, and measures such as a new Help to Buy Scheme in London could also make a positive contribution to the situation by taking first time buyers out of the rental market and getting them onto the housing ladder via those new properties – 200,000 of which will be starter homes sold at a 20% discount to market value. Perhaps one of the most telling results of the Chancellor’s autumn statement was the fact that shares in Taylor Wimpey, Barratt Developments and Persimmon rose – in fact they were some of the fastest rising shares on the market on the day the speech was made. All these new homes have to be built by someone and big developers will benefit hugely from these investments as small developers have been mostly priced out of the market and disappeared. Unfortunately for buyers, the homes built as a result of the autumn statement won’t always remain so affordable – those starter homes can be sold off at full price five years after they’ve been built, which seems a rather shortsighted move. Despite the fact that rents in the UK are so out of control that commentators have been mulling the idea of a ‘Help to Rent’ scheme as some can’t even afford to get a foot in the door of the rental market, the government has been silent on this. We could try some sort of rental cap – as is being introduced in Ireland; we could make more secure, longer tenancies the norm as tenants enjoy in France and Belgium; and we could introduce proper controls and penalties for landlord who don’t comply with basic legal requirements relating to repairs and living conditions. But for now the government remains frustratingly silent on the subject.